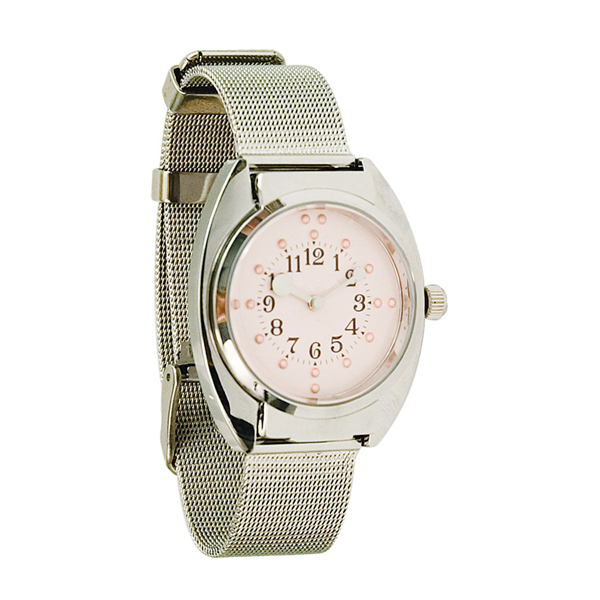 The dial is rose pink colored, with black numerals and comes with a chrome mesh band. The crystal is hinged at 12 o'clock which allows glass to flip up at 6 o'clock for tactual time-telling. There are 3 tactile dots at the 12, 2 tactile dots at the 3, 6 & 9 and single tactile dots for each hour in between.